The library will be closed on Friday, July 3rd, and Saturday, July 4th, in observance of Independence Day. Chat with a Librarian 24×7 will be closed on Saturday, July 4th. The library’s current exhibit celebrates the four Pre-Columbian cultures in the American Southwest that contributed concepts of social organization which became the egalitarian Pueblo culture of today. It is an amazing story. Pottery, unlike architectural sites or abstract ideas, is portable and concrete, and the Archives and Special Collections is proud to possess a few pieces of ancient Southwest pieces. They represent the four ancient cultures that flourished then ended in the evolution of Pueblo society. 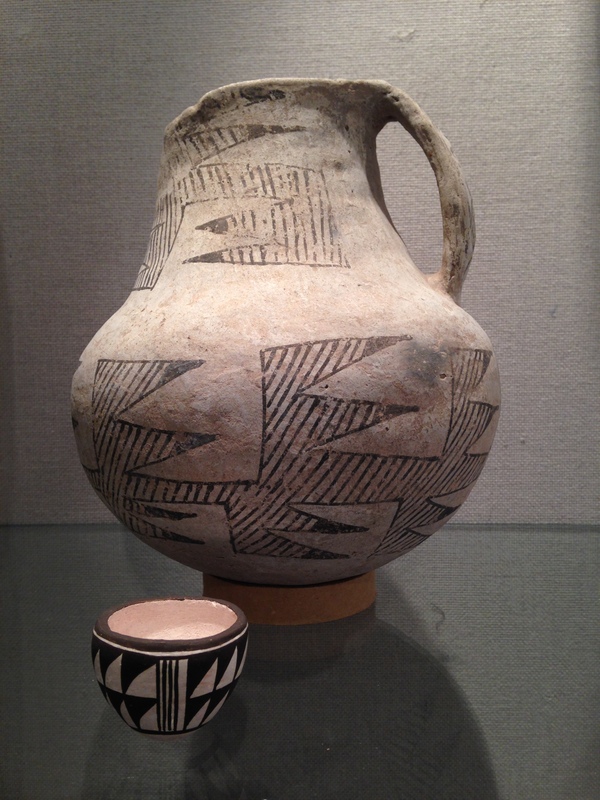 A small sample of 20th century Pueblo artwork is also included in the exhibit, especially pottery that uses the traditional motifs of the ancient cultures. The exhibit will be on display for the months of June and July in the library’s Hartman Gallery on the 2nd floor. You are currently browsing the Regis University Library news blog archives for June, 2015.